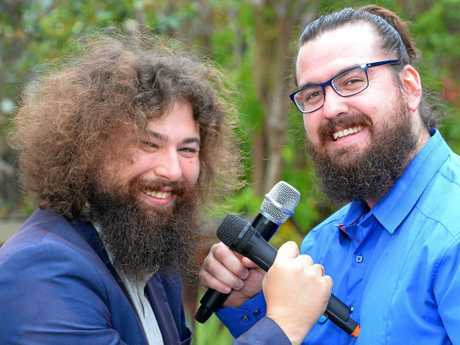 GLADSTONE'S favourite trivia hosts are in the business for the long haul - and they're about to prove it. 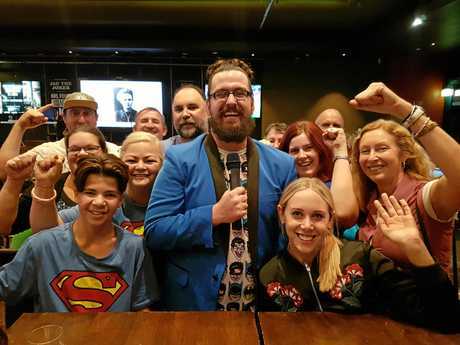 Mitchell McAulay-Powell, better known as Harvey Road Tavern quizologist Dr M, quit his teaching job this year to live out his dream of hosting pub trivia full-time. Now he and his business partner James Law, who hosts trivia at Lightbox, have set their sights on their next big goal: writing themselves into the record books. The pair are in training for their attempt to break the Guinness world record for the longest marathon as a quiz master. The record is currently held by American disc jockey Jason Hinkledire, at 33 hours and eight minutes. Mr McAulay-Powell says he and Mr Law are on track to beat that record - no question about it. "We saw the record and thought, 'We can beat that', so we shook hands on it and now it's rock and roll," he told The Observer. "We've been training hard. I've been staying up late and gaming ... to be honest it's actually quite a good gig, this training." 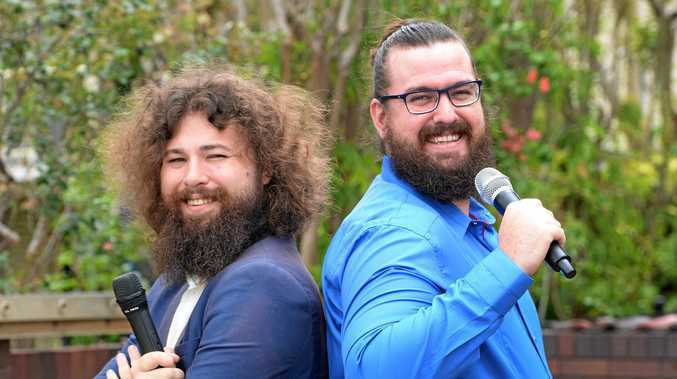 The pair will hold duelling trivia marathons at Rockhampton's Allenstown Hotel and Headricks Lane bar from 8am on December 16 through to 8pm the following night, if all goes to plan. "My rough patch is about the 36-hour mark, so that's what I'm aiming for," Mr McAulay-Powell said. "My biggest weakness is I'm usually pretty theatrical when I host trivia, but I'm going to have to stand still." Mr McAulay-Powell said Guinness World Records had placed strict rules on the event in order to make sure the record was official. "We're not allowed to read the same question twice, and we have to read at least one question a minute," he said. "Every hour we're entitled to a five-minute break, but we can bank them - so there's a wee bit of strategy. "We need independent witnesses who will be logging everything, it will all be filmed ... and professional timekeepers will be rotating every four hours." The record attempt also needs dedicated teams to answer questions, with at least four people on each team ready to answer at any given time. "You can have up to 10 people total, but due to liquor licensing I don't think they can sleep at the bar," Mr McAulay-Powell said. 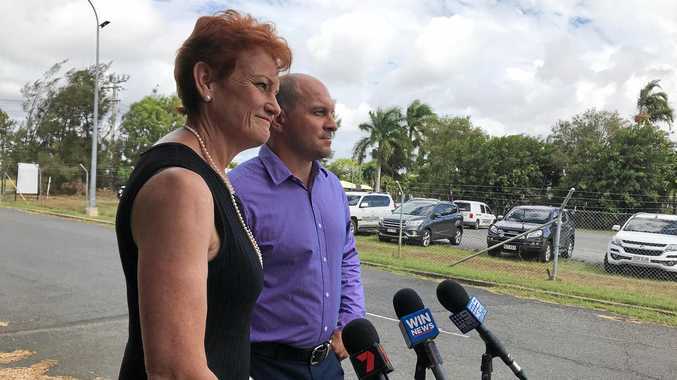 "For the people in Gladstone who are travelling up for it, if you need a place to crash... you're very welcome to stay at my house if you want to. Just let me know beforehand." It will cost $5 per person to join a team, and there will be a variety of raffles and other opportunities to donate to charity during the event - including a target of $1500 for Mr McAulay-Powell to dye his hair blue until March (and another $1500 for the beard). All money raised will go towards the Leukaemia Foundation and anti-depression charity Beyond Blue. A letter will be sent out this week to local businesses in Gladstone and Rockhampton outlining how they can donate items for raffles or donate to the cause. Anyone wishing to register a team for the trivia nights should call the Allenstown hotel on 4922 1853 or Headricks Lane on 4922 1895. You can donate to Beyond Blue here and the Leukaemia Foundation's Shave for a Cure here.